Photos of Alice are rare due to her tragic early death from diptheria, caught while nursing her husband and children. This a particularly unusual cabinet as Princess Alice was to die only five months after it was taken. Princess Louise, who caused much trouble in the courts of Europe, had even gone so far as to come between her sister Alice and husband Louis with rumours of flirting and so on. 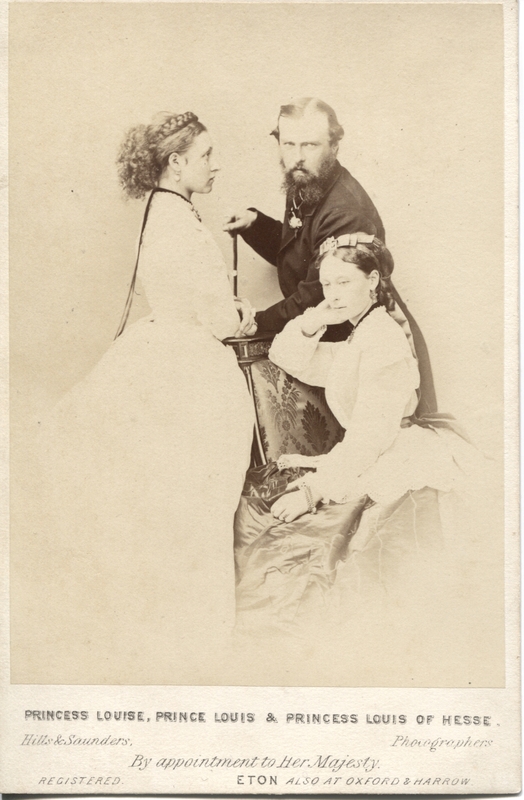 This was taken in the summer of 1878 when Louis and Alice were staying with Queen Victoria.